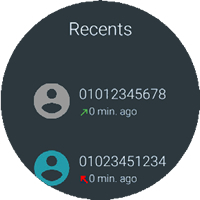 When a call is placed from the watch, the recipient's caller ID displays the phone number of your companion smartphone. 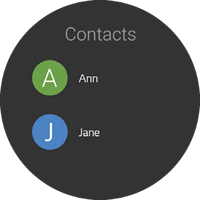 Swipe left or right to the Contacts list then select the desired contact. 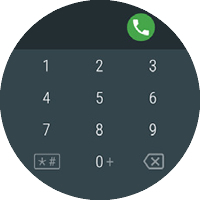 If applicable, select the desired number from the selected contact. 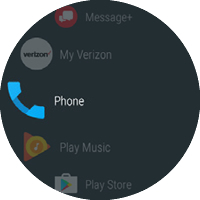 Swipe left or right to the Recents list then select the desired contact or phone number. Swipe left or right to the dialpad then enter a 10-digit number and tap the Phone icon (esquina superior derecha).